15 GA 34 Deg. 2-1/2" Coated Angled Finish Nail, 2500 pc. DeWalt DCA15250-2 - 15 GA 34 Deg. 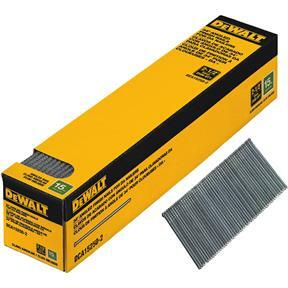 2-1/2" Coated Angled Finish Nail, 2500 pc.